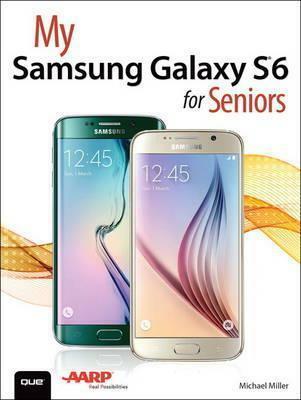 The perfect book to help anyone 50+ learn the Samsung Galaxy S6 - in full color! My Samsung Galaxy S6 for Seniors helps you quickly and easily get started with the new smartphone and use its features to look up information and perform day-to-day activities from anywhere, any time. Register your book to download more than a dozen bonus tasks and a Glossary. Bonus Tasks! The following additional tasks are available when you register your book. Michael Miller is a prolific and popular writer of more than 150 nonfiction books, known for his ability to explain complex topics to everyday readers. He writes about a variety of topics, including technology, business, and music. His best-selling books for Que include My Windows 10 Computer for Seniors, My Social Media for Seniors, My Facebook for Seniors, My Google Chromebook, Easy Computer Basics, and Computer Basics: Absolute Beginner's Guide. Worldwide, his books have sold more than 1 million copies.